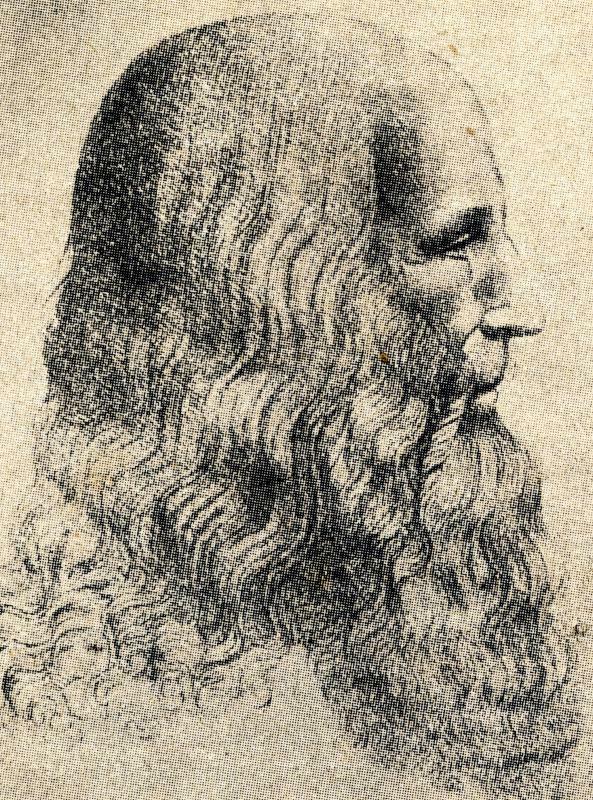 Some say that a similar device to the pantograph was created and used by Leonardo Da Vinci for copying drawings. The pantograph is a movable framework – a parallelogram with two arms extending out, hinged in a fashion similar to a trellis or a folding gate. It is used to make scale copies of two-dimensional figures. When the stylus at the center of the pantograph is manipulated, an arm with an attached pen mimics the motion, exactly copying the shape. The framework can be adjusted so that the pen covers a longer or shorter distance than the stylus while maintaining shape and proportion, meaning that copies can be made smaller or larger than the original. Credit for this invention is generally given to German physicist and astronomer Christoph Scheiner who built his first pantograph in 1603. Stories persist, though, that a similar device was created and used by Leonardo Da Vinci (1452 – 1519) for copying drawings. Scheiner wrote about his invention – first used to copy diagrams – in Pantographice, published in 1631. Construction of a pantograph begins by linking two pairs of arms – one long pair and one short pair – end to end with a pivoting joint, making a pair of flexible V shapes. The free ends of the short arms are connected by pivot joints to the centers of the long arms, forming a parallelogram or diamond shape, with two arms extending from the diamond’s top sides. A stylus is placed on the pivot at the bottom of the diamond and a pen is attached to the end of one arm. The end of the other arm is locked into a fixed position while the copy is being made. Many pantographs have adjustable sliding sockets, allowing for greater versatility in scale. While technology has found simpler ways to make copies, even at different sizes, the pantograph is still a useful tool for drafting and making signs. With a cutting tool attached instead of a pen, pantographs are also used for grinding, engraving, and milling. The pantograph’s framework is used in mechanical designs such as windshield wipers and lever systems. Pantographs are also sold as arts and crafts tools, and as children’s toys. In modern times, the word pantograph has taken additional meanings. Due to its resemblance to the drafting tool, the diamond-shaped framework on the roof of an electric train or trolley that connects to the overhead power lines is also called a pantograph. There is a dental diagnostic instrument that shares the name as well, due to similarities in shape and function. What Is an Electric Pen? What Is a Pantograph Engraver? What are the Different Types of Engraving Machines? What is a Radius Gauge? What is a Trolley Car? @HappyDay45 - Another machine based on the pantograph is one used for pantograph quilting. This machine uses a laser to trace a quilting design which is connected to a sewing machine that quilts the material following the movement of the laser guide. It is very interesting to watch. @BreeZee22 – You are right. Copy machines that can enlarge and reduce have been able to replace some of the need for pantographs. However, many tools used today are based on the simple pantograph machine. The pantograph router is based on the pantograph concept. My brother uses his to carve beautiful wooden signs and wood engravings. When I was a little girl my grandmother had a pantograph that had been my grandfather's. I think that my grandfather had made it from a set of pantograph plans that she also had. I spent hours copying drawings of pictures I saw in books and magazines. Sometimes I would enlarge them and sometimes I would reduce them. Now my copy machine does it for me.